We are an organisation that represents people from diverse cultural backgrounds. We are the Tasmanian voice for multiculturalism and community harmony. We are an organisation that represents people from diverse cultural backgrounds. We are the Tasmanian voice for multiculturalism and community harmony. Multicultural Council of Tasmania. The story of the political prisoners exiled to the Australian colonies as convicts in the late 18th and 19th Centuries. Their legacy is inspirational. Liberalism, republicanism, trade unionism, working class politics, democracy, responsible government… all arrived in the colonies shackled in chains. This fine documentary imaginatively examines the way a national psychology, preserved in songs and poems, was developed in a new country of grating rawness, emptiness and class inequality by pioneering political prisoners, their democratic spirit in direct, sometimes violent, opposition to the English military class that ruled them under the dark shadow of the convict system. Cats! and Oliver! the musicals, Death Or Liberty, Elevator Repair Service USA, Sorell On Stage, Spring Bay Theatre Co, All's Well That Ends Well, Southern Gospel Choir, Choir of High Hopes, Nelson Sound. Spring Bay and Friends Singers, QTas Choir, Festival Of Voices, Ten Days, G&S, Rotary, Generations Ensemble, Childhood Robberies, Orangutan Boy, The Dame, Hamley Productions, Oedipus Schmoedipus, Little Beauty, Wide Angle, Australian Wooden Boat Festival, Simply Science National Directory, FutureFest, Oral History, Gay Tas History, Sisongke Community Choir, Multi-culture Thread, Perform Technology, Ancestry. 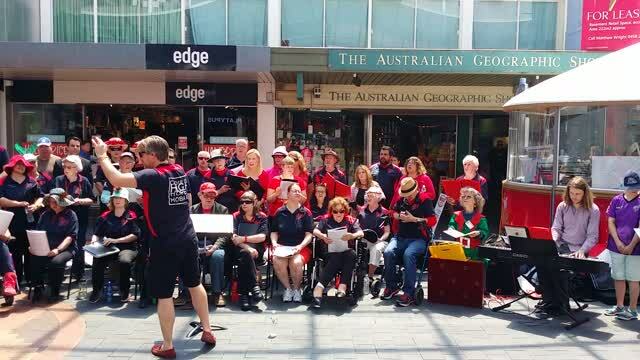 Whilst in Sydney & Melbourne: Kompass Australia, Sydney Street Choir and Choir of Hard Knocks. Only Robert Jarman could clearly describe this special final performance in Hobart. We hand-pick a comprehensive list of manufacturers, product and service providers, local and national, to match your specifications. This search can be augmented individually; and will offer immediate contact to your given parameters. For just $40. Our data base covers a wide range of services: agecare, agriculture, art, business, computer, commerce, conservation, construction, design, drones, education, energy, entertainment, food, gardens, green, hardware, health, heritage, leisure, lifestyle, logistics, manufacturing, media, nature, property, retail, robotics, science, security, services, social, software, solar, sustainability, technology, tourism, transport. The purpose of the exercise is to save your staff time researching company’s needs. Our database links thousands of product service providers. For a separate $40 we will add your detailed entry and a logo or video. You will see a number of species that are sadly now extinct everywhere but Tasmania. They include the Tasmanian devil, the Eastern quoll and the shy Tasmanian bettong. These three marsupial species have made their last stand Tasmania and, sadly, other marsupials are at risk of joining that list. Australia has the highest number of mammal extinctions in the past 200 years and at Bonorong we are determined to ensure these animals do not join that list. As well as these animals you will see everything from possums to potoroos, emus to echidnas, the agile spotted-tailed quoll and orphaned wombats. The focus is our wonderful natives. All our animals are here for a reason and our number one aim is to see them back in the bush and to prevent them arriving at our door in the first place. Come and learn how you can help! Read our wildlife rescue page to find out how you can be involved in caring for these animals, maybe even becoming a wildlife rescuer or carer yourself. ASMANIA’S first wildlife hospital has opened after years of fundraising. Visitors to Bonorong Wildlife Sanctuary will be able to watch veterinary procedures. Bonorong Wildlife Hospital will be open two days a week and help injured and orphaned wildlife. Wildlife carers can book appointments and pay only the cost of consumables, such as medication, said Bonorong owner Greg Irons. “This facility has been a dream for a long time and it’s great to see it finally coming together,” he said. “We greatly appreciate the support of veterinary clinics around the state for treating wildlife in between their other patients. However, it’s not an ideal situation for native wildlife to be near dogs and cats — their natural predators. Dr Alex Kreiss is in the new surgery facility. The hospital is subsidised by visitors and donations to Bonorong Wildlife Sanctuary. “The aim is to have a seven-day-a-week operation,” Mr Irons said. The hospital will be staffed by Alex Kreiss and Mr Irons hopes another vet will be hired to extend its hours of operation soon. “Bonorong will still continue to work with other vets to care for wildlife around the state as needed,” Dr Kreiss said. Visitors to Bonorong Wildlife Sanctuary will be able to watch veterinary procedures, when appropriate, through one-way glass from a viewing platform. “I’ve always said that if people were to see even a small portion of what our staff, rescuers and veterinarians saw every day — the aftermath of people’s actions — they would undoubtedly change what they do in their everyday lives,” said Mr Irons. Elevator Repair Service USA performance incubator in Tasmania.